Rowlands Castle represented by Debbie Tapply, Sheila Russell and Cathering Hargaden versus Hartley Wintney represented by Deirdre Randall, Linda Turner and Jan Newman. Match 1. 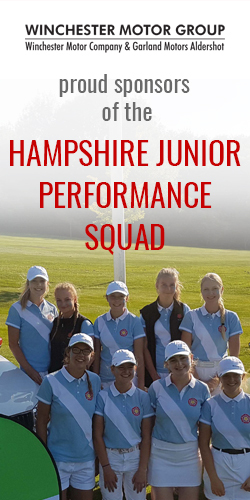 The front 9 was very even with Debbie Tapply leading 1 up at the turn, which quickly became 2 up after 10, however Deirdre Randall took control of the back 9, winning 4 of the next 6 holes to win the first match 2 and 1 for Hartley Wintney. Match 2. 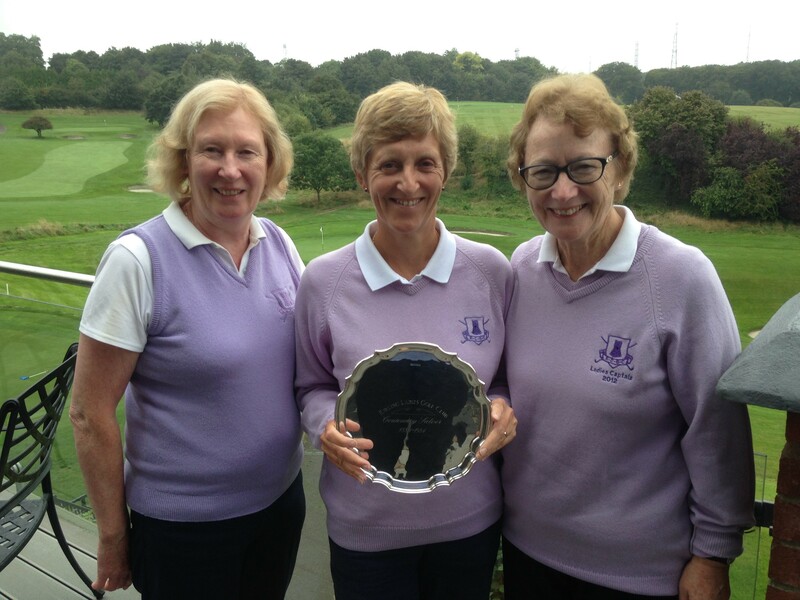 Sheila Russell took control of the front 9 and was 6 up at the turn, Linda Turner fought back well after the turn but ran out of holes with Sheila winning 4 and 2 for Rowlands Castle. Match 3. In the third and deciding match Catherine Hargaden from Rowlands Castle took control from the start against Jan Newman from Hartley Wintney and didn’t relax until she had helped to secure the win for Rowlands. Congratulations to Rowlands Castle, winners of the North Hants Plate 2016, the final score being Rowlands Castle 2 Hartley Wintney 1.